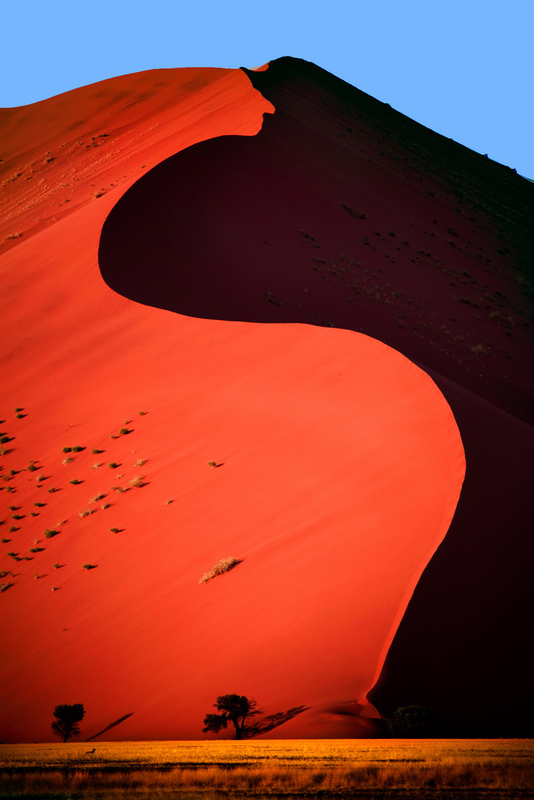 Dune 45 is a star dune in the Sossusvlei area of the Namib Desert in Namibia. Its name comes from the fact that it is at the 45th kilometre of the road that connects the Sesriem gate and Sossusvlei. Standing over 170m, it is composed of 5 million year old sand that is detritus accumulated by the Orange River from the Kalahari Desert and then blown here.